The incredible mix blend 24? 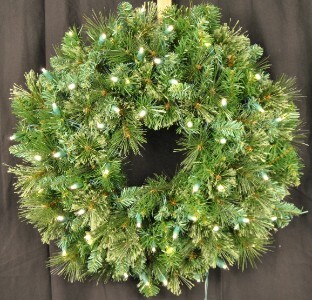 wreath is artfully crafted with 4 different pine tips including Long Needle, Fir, Douglas and Sequoia tips. 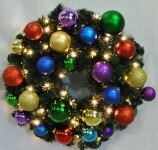 Creating the utmost realism and eye catching appeal, neighbors and customers will love this wreath for years to come. 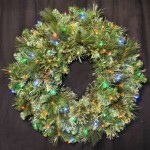 Lit with 70 LED Warm White lights. 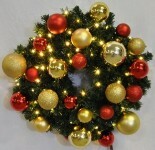 Add ornaments for your own personal touch.